The development of an organization is extensively linked to competent decision making and strategy implementation pertaining to procurement endeavors. This becomes even more critical also due to market competition and cost pressures which remain constant or increase. The most beneficial approach to tackle this situation is to monitor the procurement process by some appropriate and well-defined reporting and controlling systems. What is the relationship between the involved spend and the results of procurement? What is the added value of procurement and what costs must be balanced against it? What are the gaps in procurement performances and how can they be closed? What are the cost efficiencies potentials and how can you take advantage of them? Based on an analysis of already implemented KPIs within your company the objective for Procurement Controlling is to define a set of procurement Key Performance Indicators (KPI). Additionally to this, new KPIs can be introduced to measure the effectiveness of the different organizational structures of your company. This manual will describe guidelines and examples to identify, calculate, validate and report all defined Key figures and KPIs within procurement organization of your company. The set of principles have to be applied by all employees involved in the procurement controlling and reporting process. The ultimate goal from the application of these guidelines is to give your company valuable insights into critical procurement dimensions on a strategic and operational level. By setting target values for dedicated KPIs it can be measured if these targets are on track or if any corrective or supporting actions need to be taken. The KPIs, which are described here, are designed to monitor the performance of the overall procurement organization. Department specific KPIs could be defined separately. However, selected KPIs might cover the topics of most of departments to a high degree. The guidelines of this manual address both the global need for consolidation and the local need of practicality. The overall purpose of this manual is to be a user manual containing all the guidelines to be followed by all the different stakeholders involved in any stage of the reporting process. create world-class cost efficiencies that support the competitive strategy and deliver increased earnings across the business. The focus group of this Procurement Controlling Manual involves all stakeholders responsible with procurement reporting process within your company. Definition and details of Key figures and strategic and operational KPIs can be found in the KPI Detailed Controlling Manual (a comprehensive practical guide consisting of 27 Excel Sheets, containing explanation, calculation formulas, examples, scorecard templates, etc) which can be easily purchased HERE below for only USD 17.00 (which is more than a fair price considering that you’ll be paying only 63 cents per each single excel sheet containing exceptionally well structured and useful information which will definitely support you in holding a grip on the procurement spend of your organization…not to mention the savings generated afterwards). 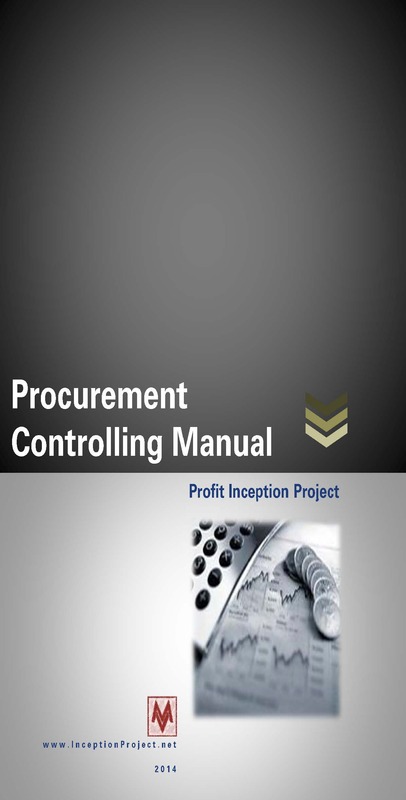 Why choose our KPI Detailed Controlling Manual for your procurement controlling needs? 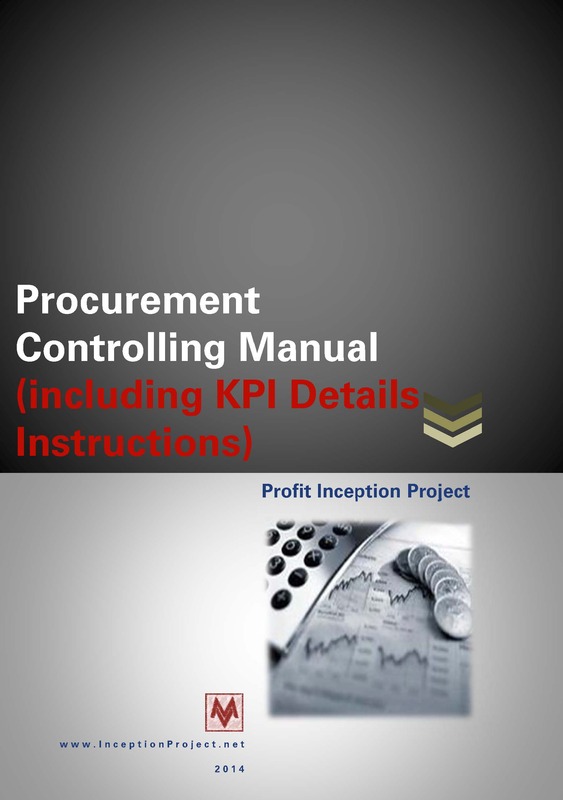 KPI Detailed Controlling Manual, Profit Inception Project (part of MV Group), 2014; 27 Excel sheets.